Celebrate this year's Affiliate Summit West with the elite. 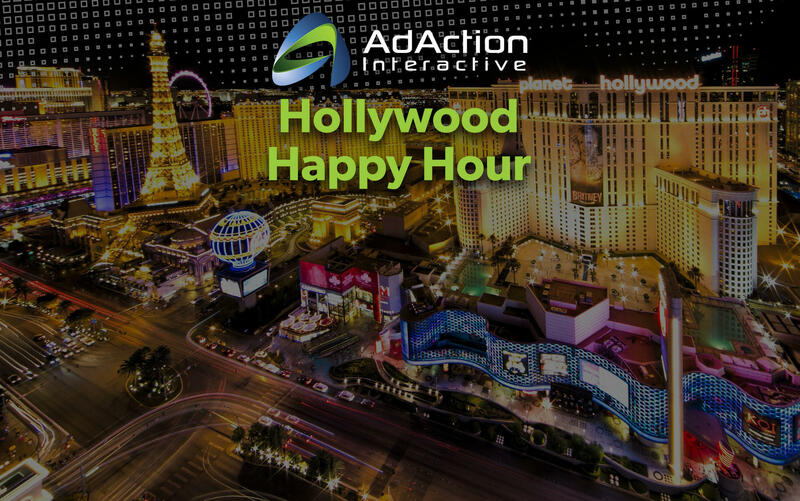 Join AdAction and industry leaders for an exclusive happy hour at Café Hollywood on Monday, January 8th, 2018 from 5 to 7pm. Enjoy FREE drinks and appetizers at one of the newest hot spots on the Vegas strip! Café Hollywood embodies everything Twinkle Town, from iconic Hollywood moments to candid shots of the silver screen's stars, this space is a Planet Hollywood must-see. Leading the mobile app industry with custom, performance-based marketing solutions and data-driven technology, optimizing acquisition campaigns to drive quality installs and downstream engagement for maximum ROI. AdAction is the premier ad network that delivers over 6 million monthly installs for elite agencies and Fortune 100 companies, leveraging exclusive partnerships with top publishers to reach target users in more than 180 countries worldwide.